The REALTOR® Association of the Sioux Empire, Inc. (RASE) is a non-profit association funded by member dues and exists to enhance our members business environment and professionalism. RASE provides services to 810* REALTOR® members and 95* Affiliate members engaged in residential sales and leasing, commercial sales and leasing, appraisal, consultation, home inspection, mortgage lending and more. and serve all in the spirit of the golden rule. whose members value affiliation as crucial to their success. 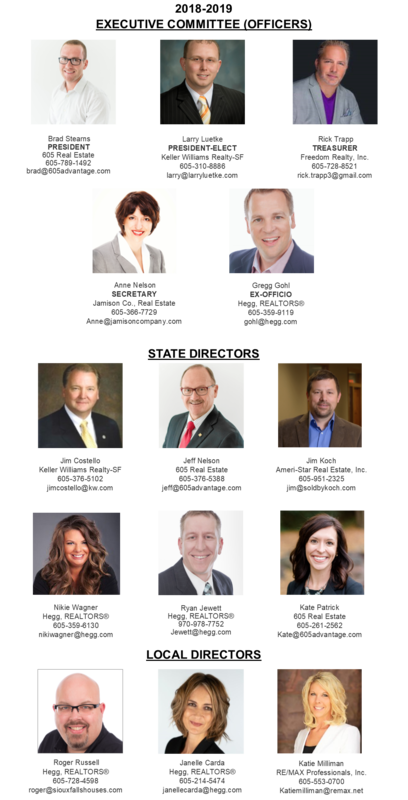 The Sioux Falls Board of REALTORS®, Inc. (Sioux Falls Board of REALTORS) was chartered by the National Association of Real Estate Boards (now known as N.A.R.) on March 6, 1920. The Multiple Listing Service (MLS) was started in 1957 as an independent organization, and was later merged into the Association, where it is operated as a standing committee. In reflection of the fact that the Association’s geographic territory covers five counties (Minnehaha, Lincoln, Turner, McCook and Lake – with Lake being acquired in 2002), the Association name was changed to REALTOR® Association of the Sioux Empire, Inc. (RASE) via a membership vote in July, 2003 with final NAR approval received in October, 2003. Local associations such as RASE are affiliated with both the state and national associations. A portion of annual membership dues goes to the state and national associations and a portion remains at the local level.